A “Zero waste” agriculture presents huge economical and environmental benefits as it provides opportunities for climate change relief, through the substantial reduction in greenhouse gas emissions from both traditional agricultural practices and fossil fuel usage. 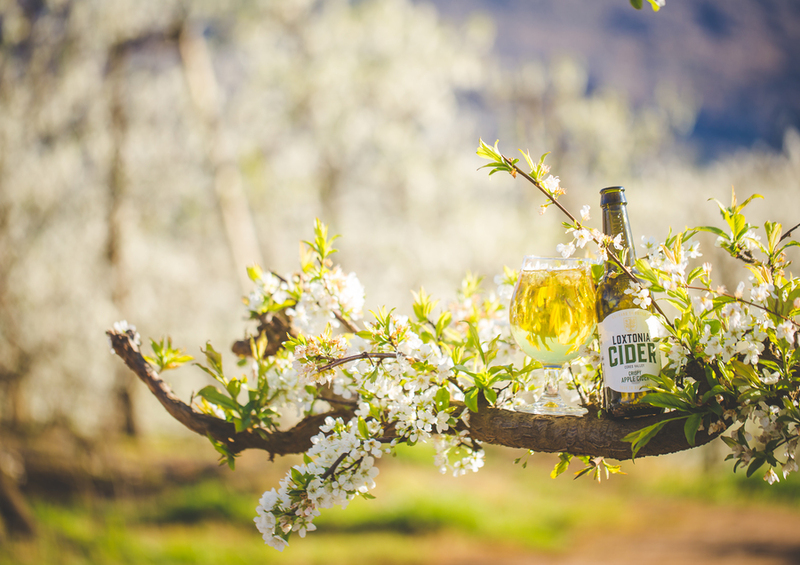 Loxtonia Farm, home to both the Whitfield family and Ceres’ very first Cidery, has been on its own journey of embracing zero waste over the past few years, through their “Orchard to Bottle” philosophy. 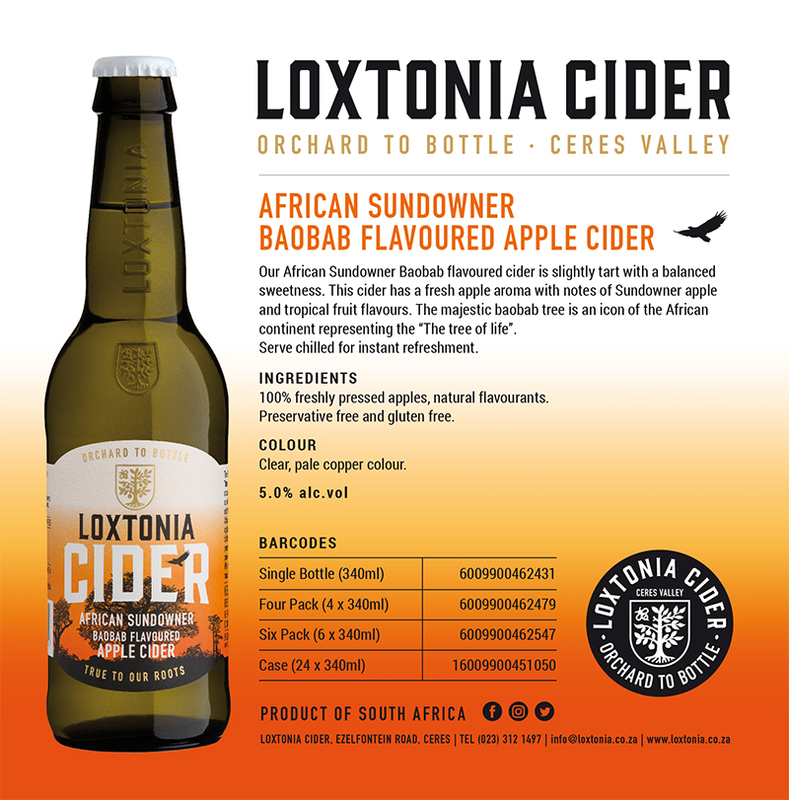 Though successfully exporting apples, pears and plums world-wide and also supplying a small percentage of fruit to the local South African market, during 2013 founder & head cider maker of Loxtonia Cider, Larry Whitfield wanted to do more with his apple crop. Identifying a gap in the market, Larry started doing research on blending apple cultivars on the farm, after travelling to different cider making regions to gain further insight. Together with his family, Larry embarked on a journey to discover how to make a range of premium quality Ciders. 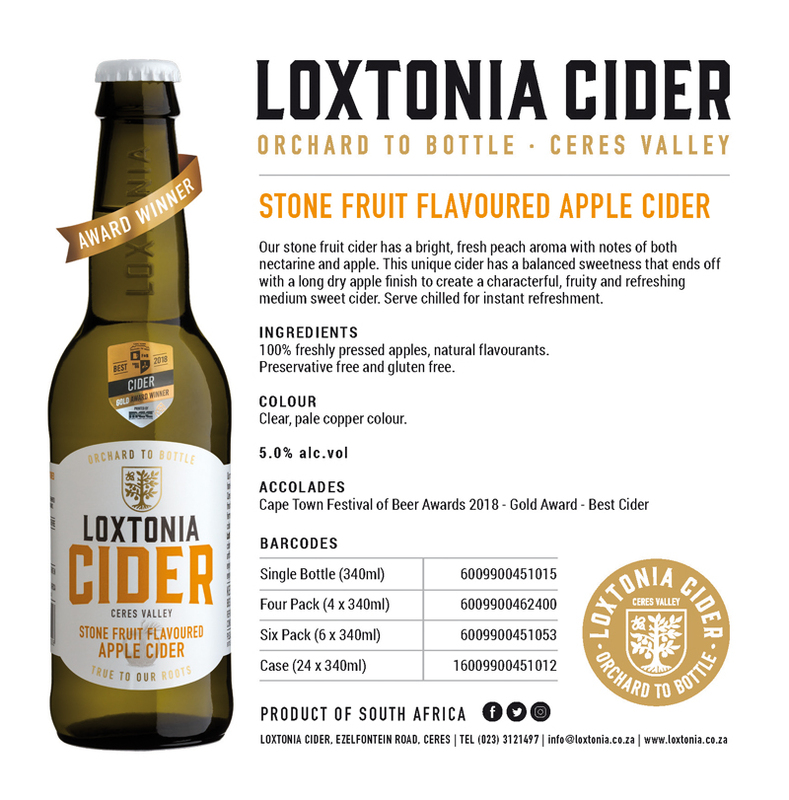 Consulting widely and conscientiously learning the ropes paid off when the first batch of Loxtonia Ciders were made and enthusiastically received by all who had the chance to sample it. 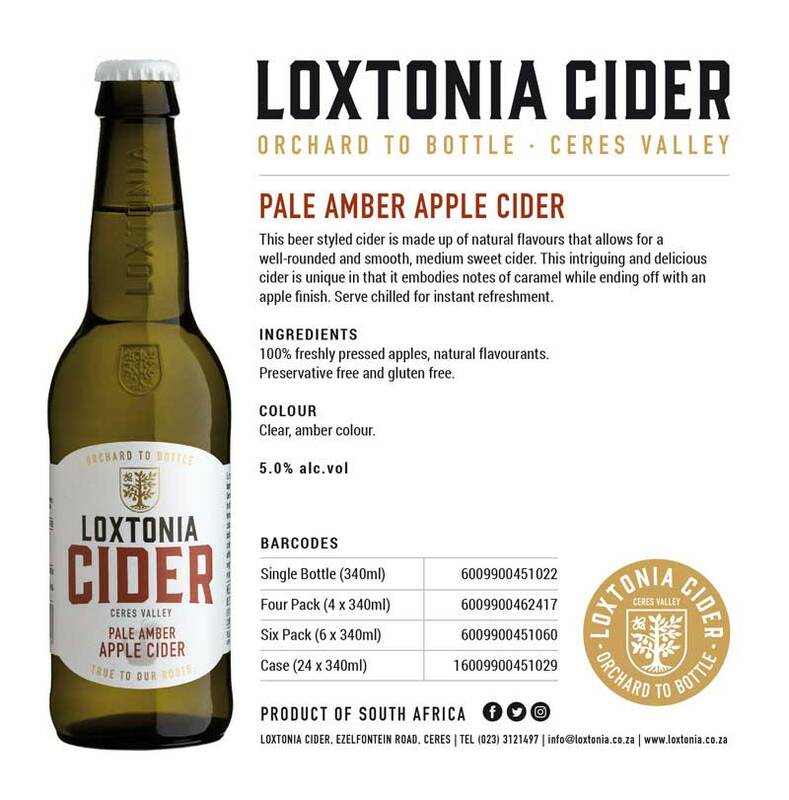 As part of the learning curve, Loxtonia Cider made a commitment to the environment – to farm and produce their products as sustainably as possible – hence their zero-waste approach to farming. Special care is taken in the orchard to grow and nurture each of the apple varieties. Soil tests are regularly undertaken to determine nutritional and irrigation needs. Realising the importance of bees in the process of fruit farming, careful attention is given to making the farm as bee-friendly as possible. 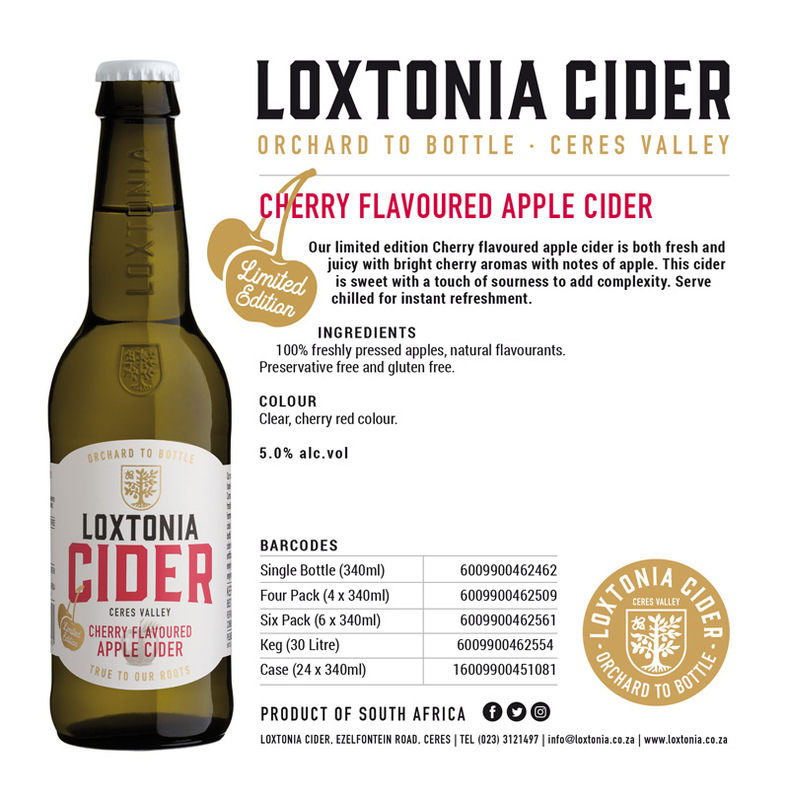 Apart from the fruit that are exported, Loxtonia selects top-quality hand-picked apples to produce the range of Ciders on their farm. The fruit is then transported over a very short distance to the farm’s own Cidery. The crushing and pressing is done by using an efficient pressing system, which uses minimal water to extract the finest juice for fermentation. With no interference in the fermentation process, Loxtonia then produces ciders that are made from natural ingredients. With 400 solar panels, Loxtonia’s entire production process is run entirely off solar energy! The remaining pulp from the apples is either sold on to animal feed producers, or utilised as fertiliser in the orchards for the following year’s crop. Every little bit of the fruit is therefore utilised, in one way or another. 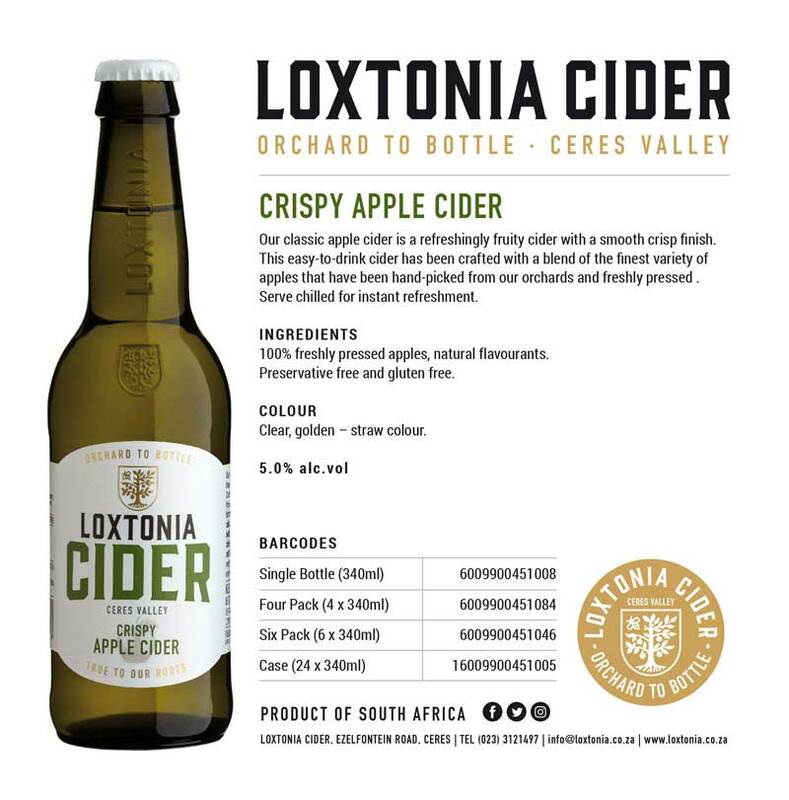 With their guiding philosophy of “Orchard to Bottle,” Loxtonia Cider believes that everything you need to create the perfect cider can be found in the natural nutrients delivered by the soil, water and sunshine of the Ceres Valley.